Winery locations and itinerary may change due to traffic or a previously booked special event at the location. Buses are air conditioned and the size of the bus depends on the number of passengers booked for that particular day. Minimum age for wine tasting is 21 years. Join us on a fun and relaxing Napa Valley Wine Tour on one of our luxury coaches. During our full day tour from San Francisco, you will visit renowned Napa Valley and Sonoma Wineries for tasting, learn about winemaking techniques, and shop for wines and souvenirs in local shops. Taste the finest wines of Napa Valley, have lunch and shop in Yountville, and enjoy the picturesque drive over the Golden Gate Bridge through fantastic Napa Wine Country on our wine country tour. 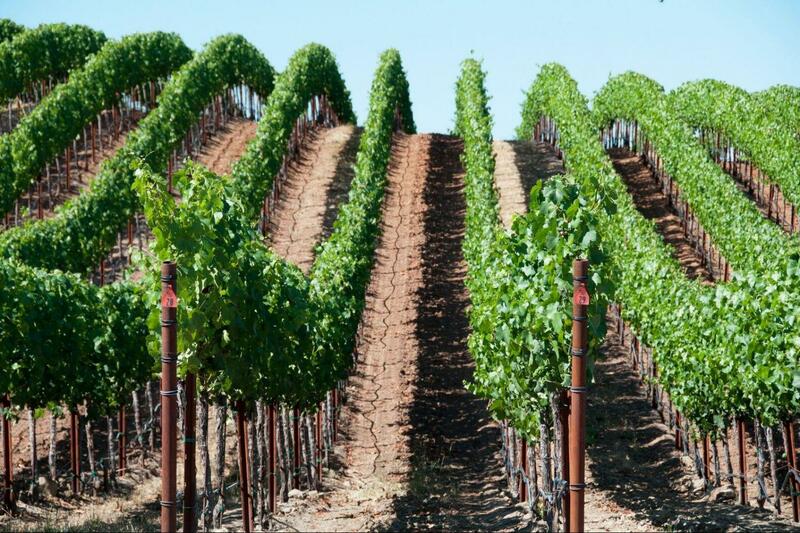 Napa and Sonoma are world-famous for their fine wine and beautiful scenery. Learn about wine from our expert guides as you travel north to California’s premier wine country. You’ll learn the area’s history of wine making, from the early Spanish missionaries who brought grapevines from Europe to the Forty-Niners who served wines in their saloons. Then tour wineries and see how grapes are picked, crushed, blended and bottled; walk through beautiful vineyards with your tour guide and then taste the finished product. There will also be time for lunch at Historical Sonoma Square or Vintage 1870 in the heart of Napa. Absolutely amazing. Not only were the wineries we visited amazing. But, the tour guide/ bus driver was fantastic. He was very knowledgeable of the areas in San Francisco and of Napa and Sanoma. Beautiful scenery, even in the rain. Driver (Antonio) was very knowledgeable of the area and history. Great recommendation for lunch in Sonoma. the itinerary itself was excellent! amazing wineries. I see that previous reviews where considered and you upped the ante. Sutter Farms wowed me with their reserve wines. As mentioned above, it was a good experience all around. Michael was very helpful with questions on the phone prior to the tour, and Donilo (sp? ), our guide/driver was very entertaining and knowledgeable. We visited Nicholson Ranch, Andretti and Sutter Home wineries. I liked the first 2 better than the last, but that is strictly a personal opinion.